kids play and sled right at your doorstep from the comfort of your patio). 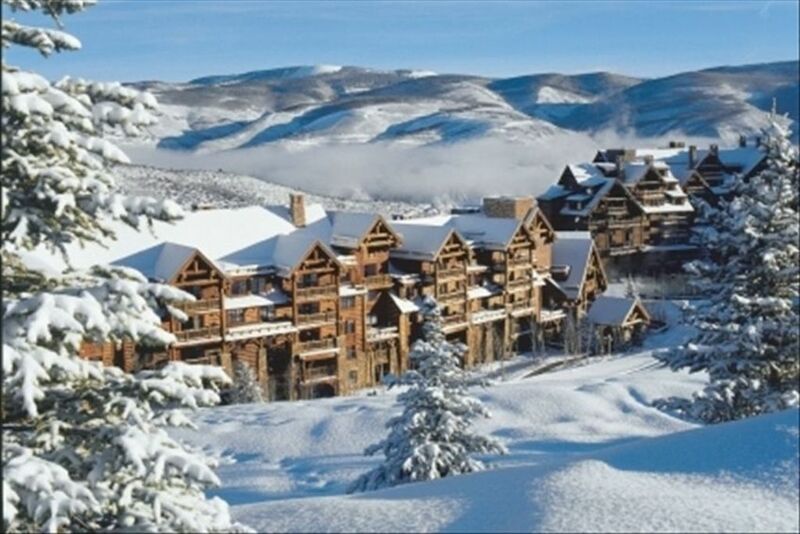 It's located at the Heart of Bachelor Gulch Village in the Beaver Creek Ski Resort. The included lift tickets (up to six per day) are valid at nearby Vail ski area as well. As a club guest, you have full access to the adjacent Ritz-Carlton Hotel and all of their services including the 21000 square foot Ritz-Carlton Spa and Fitness Center, Red Sky Ranch and Golf Course, Ritz-Kids Program Spago Restaurant, and Zach’s Cabin on mountain dining. Amenities include twice daily maid service, in room dining service, parking valet, ski valet, heated pool and spa, free in-room WI-FI, fireplace, gourmet kitchen, washer and dryer, walk-in closets, and heated bathroom floors. At your request, the Club Concierge will stock the pantry and refrigerator before your arrival with your family's favorite foods and beverages. Your skis can be fitted and tuned and placed in the valet upon arrival. Your dinner reservations have been made, and your massage has been scheduled. The marble floors of your bathroom have been pre-warmed by housekeeping. Is this not the most stress-free way to begin a vacation you've ever experienced? SKI LIFT TICKETS INCLUDED. (UP TO $1014 PER DAY SAVINGS).